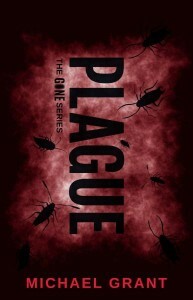 Plague is a much better 3rd sequel compare to Lies and in many ways, one that surprises me how much better in terms of where this is going. After the events in Lies, the kids in Perdido Beach is left with so much doubt and destroyed confidence towards those they can rely on. Sam is self-pitying, Astrid learns a truth about herself, Albert became a self-centered business man, Quinn found his calling and the rest is just as it is, with Caine and his crew living up on the high-end of comfort on an island they took over. When Drake escape, a new disease is getting rampant - a flu spread like wild fire that kills from inside out and... a new army of insects that is almost unkillable, not even Sam's powers can burn them. With the gaiaphage influencing its power all over the FAYZ, the end maybe near... and only Pete Ellison may be the answer to all the troubles everyone in the FAYZ is facing... if only he knew what he is doing.